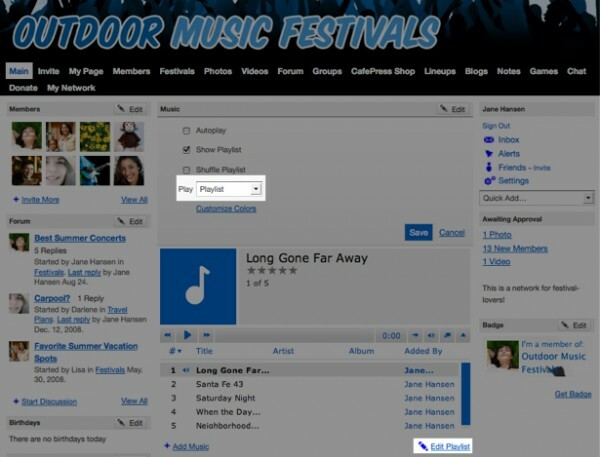 To delete a song from your Music feature, make sure that the player is set to show a “Playlist” by clicking on the “Edit” button at the top of the module.Â If this view is selected and saved you will see a pencil icon below the player that will allow you to edit the files in that playlist when you click on it. 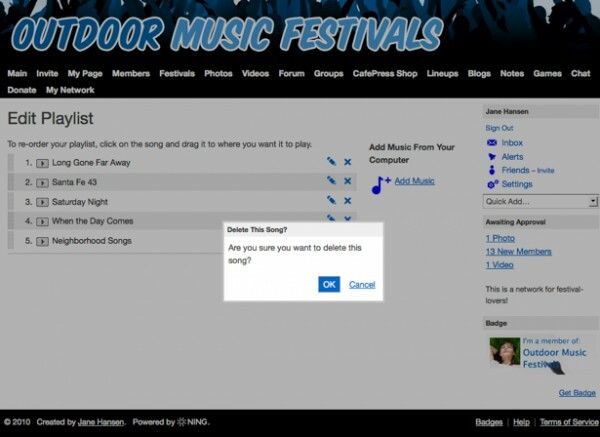 After you click in to edit your playlist you’ll have a couple of options.Â To delete a song, click the “x” to the right of it.Â You will then be asked to confirm the removal of that song and it will be deleted from the playlist immediately after you do. You can also change the order of songs in the playlist by dragging and dropping them into the sequence you’d like.Â You can click the pencil icon next to a song to edit its name and other information.Â When the playlist is arranged as you’d like, click the “Done” button.